It’s the beginning of a new year and most people have their hands full with their New Year resolutions. If upgrading your floors is part of your list, you will want to take a look at these flooring trends for 2017. Narrow width planks are becoming a thing of the past as wider width planks gain more popularity. In this case, the wider planks showcase more of the beauty of the wood grain, variation, and color. Since the planks are wider, you will also need less planks to cover your floor which means you have fewer and less visible joints. Wood floors with rustic, distressed looks, and naturally rich texture are continuously gaining popularity. 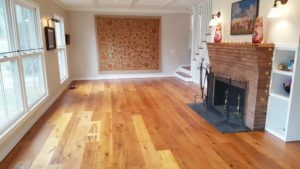 Most reclaimed lumber comes from timbers and decking rescued from old barns and re-purposed in many ways – flooring being one of them. These lumbers are stronger and more stable which is attributed to much smaller amounts of pollution in the twentieth century and the hundreds of years these lumbers were allowed to grow before human intervention. Other than having a piece of literal history in your home, you can often find dealers who will be able to share the history of the sites where the lumber was salvaged from. Upgrading to these floors will guarantee a floor with lots of character and one more story to tell your guests during dinner parties. Warmer colors are beginning to decrease in demand while gray remains a steady favorite. 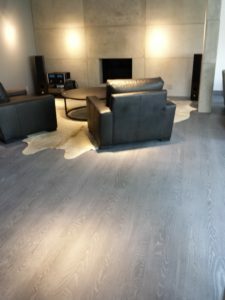 Another popular choice has been not just one solid color but a mixture of stains for an unique floor. Where are these trends coming from? Renovation television programs and sites like Houzz and Pinterest lead the way in terms of influence. Customers today are much more informed than they were decades ago and the amount of readily available information that can be obtained through mobile phones, tablets and computers makes installing and renovating anything simple. This incredibly fast growing channel allows professionals in the field to predict the hottest colors and styles with tremendous accuracy. Nothing beats meeting your contractor face to face and receiving an estimate personalized for your flooring needs. 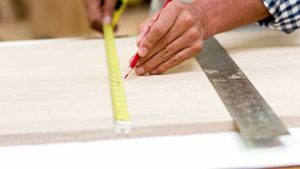 When deciding on a project, regardless of the countless DIY articles on the web, a flooring professional will always be the best guarantee that your floors will be done with accuracy. Factors such as location, temperature control systems, pets, kids, and exposure to high traffic must be taken into account when choosing the perfect floors. A floor that performs well in NYC, for example, may not perform the same way in Hawaii where the Relative Humidity (RH) is greater, pet nails can scratch softer woods ruining your finish, low RH will cause your floors to cup if your temperature control system fails and etc. Meeting with a professional, asking questions and visiting a showroom to consult your options is always the smartest decision. These are a few trends that we can expect to see in 2017. What styles do you think are going to make it to this year’s list? Let us know what you think in the comments below.